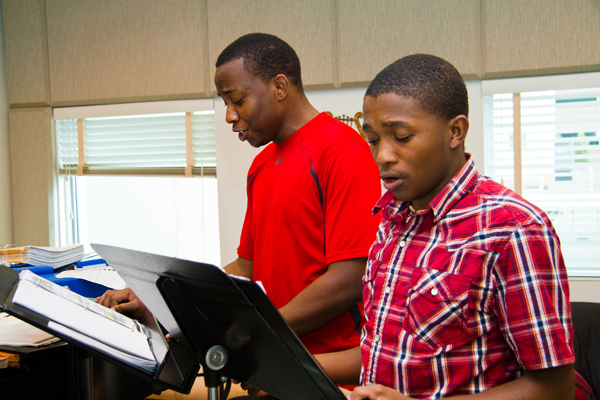 CPCC students receive a free ticket with a current ID. CPCC Staff/Faculty tickets available for $10. (Tickets available at the Box Office only with a valid ID). Single performance tickets are available beginning September 4. All seating is subject to availability. Sign up to receive our monthly newsletter, State of the Arts at http://tix.cpcc.edu/contact. 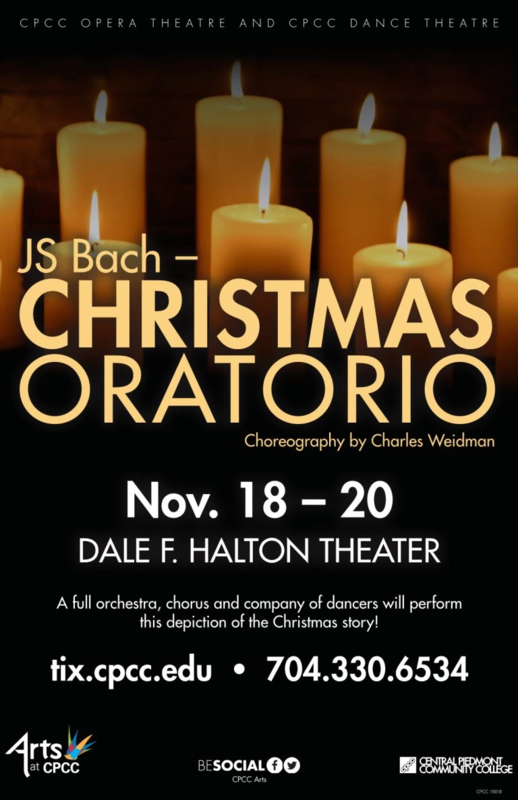 CPCC Opera Theatre and Dance Theatre present excerpts from “Christmas Oratorio,” with music by Johann Sebastian Bach and choreography by modern dance pioneer Charles Weidman. This production features a full orchestra, chorus and company of dancers depicting the Christmas story, conducted by Alan Yamamoto, and co-directed by Rebecca Cook-Carter and Clay Daniel. Please join us for this special event! Friday, November 18 – 7:30 p.m.
Saturday, November 19 – 7:30 p.m.
Sunday, November 20 – 2:30 p.m.